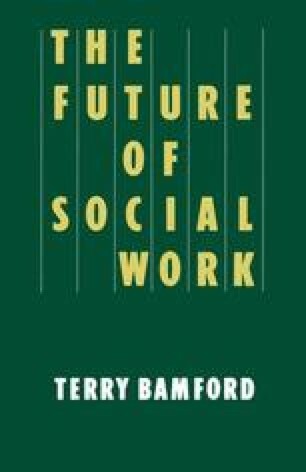 It is tempting to look back at social work practice in the years before the Seebohm Report (1968) as an age of innocence. Social work was delivered in a variety of agencies usually serving specific client groups. Its practice reflected a growing sense of professional unity and a developing self-confidence in the ability of social work to bring about positive change both in the lives of individuals and in wider society. It enjoyed public approval as a necessary part of welfare provision. The reality for clients was different, as the picture of patchy, uncoordinated and under-resourced services drawn in the Report shows.